My work centres on aspects of motherhood, in particular my own maternal subjectivity. I explore notions of change and am interested in the details and familiarity of everyday events, focusing on unremarkable, personal experiences to articulate both the extraordinary and the momentous. I have examined this from the perspective of my own relationship with my son, aiming to convey universal messages about relationships between mothers and children. Extending this notion, I have considered the reverse of this relationship, reflecting upon the mother’s position from the perspective of the child as an adult. 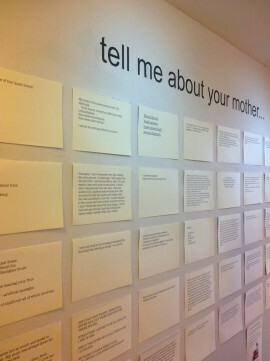 My current project, ‘tell me about your mother…’, takes a less introspective direction and aims to both celebrate and expose this most powerful, yet often problematic, relationship between mothers and their children, and is nurtured by an on-going dialogue between artist and contributors. The title references Freud’s theory of psychoanalysis, which expounds the notion that all behaviour and personality is shaped by one’s childhood and parents, with particular focus on the mother. 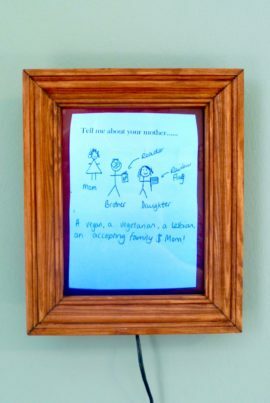 I invite visitors to be a part of this project by contributing stories, memories and experiences about their mothers. Everything I receive helps to shape and strengthen this long-term project and will be incorporated into later phases of my work and future exhibitions. In April this year, I was fortunate to be receive an award from a-n’s Re:view bursary, which I will be using to further develop my practice. My blog consists of items related both to the progress of this development and my practice in general. One of my goals from the a-n bursary was to feel more professional as a practicing artist and to ensure my visibility reflected this. My mentoring session with Jennie Syson was incredibly useful in helping me achieve this, but it also gave me so much more. Jennie, who is an independent curator and writer, as well as the director of the Syson gallery in Nottingham, has a wealth of experience, and looked at my project (and my practice in general) from this perspective. 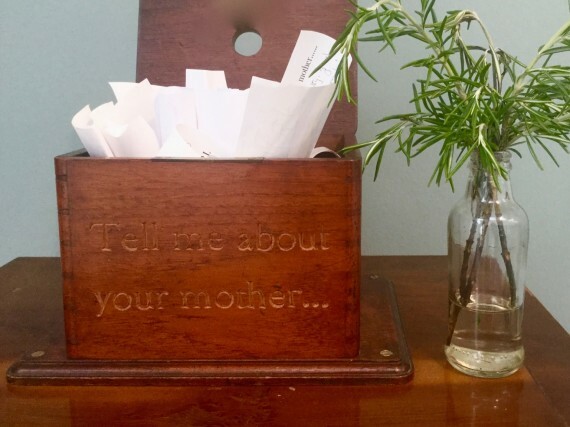 Our meeting firstly centred on my ‘tell me about your mother…’ project, and Jennie, who knew nothing about the work, asked me to tell her about it. This was an interesting exercise that might initially seem like an obvious and straightforward task, but was surprisingly testing – taking into account the visuals, the subject, the context and the purpose of the work. Although I managed to convey the essence of the project without too much hesitation, it was certainly something I could improve upon. It has prompted me to consider more carefully how I describe and portray the project, and how this could differ depending on the audience. The use of my artistic language, and having a prepared ‘toolkit’ in order to overcome any apprehension when taking about my work, was also something that I had previously discussed with Liz Hawley during an earlier Re:View mentoring session. The exercise with Jennie highlighted again that this is an important area for improvement, and, since these conversations, I have been working on, and practicing, an effective introduction to my work. Thinking about the discussions with both Jennie and Liz, and researching the subject more, I have applied particular approaches – for example, using everyday language rather than clichés or jargon, being confident in my delivery, and making my explanation interesting, so the listener wants to learn more. In relation to this and my studio work, Jennie talked about giving viewers an “invitation to discover”, which corresponds to a previous conversation with Rebecca Lee about reducing the information I present to people. There is a sense that making things simpler, and allowing audiences to fill in the gaps for themselves, can often increase the impact. 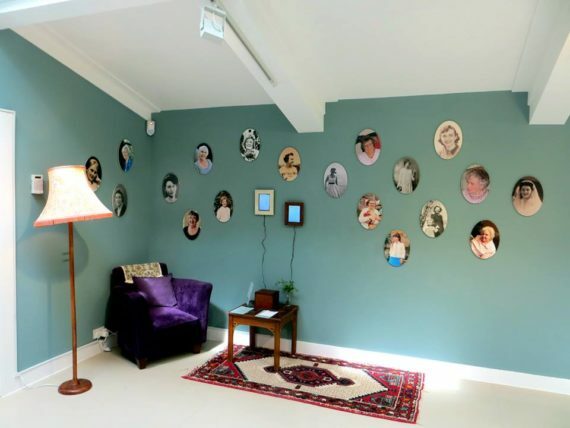 With this in mind, Jennie and I discussed my installation and how I had specifically created it with the intention of encouraging people to interact and candidly ‘tell me about their mother(s)…’. Through our ensuing conversation, I was challenged to consider the individual parts and how they might be ‘read’ by a participant. I have arranged my installation to resemble a pseudo-domestic setting with a cosy, sumptuous armchair (complete with an antimacassar) sitting on a thick-piled rug, accompanied by a standard lamp and small wooden coffee table, all complementing each other with their rich warm tones. We talked about the general feel of the work, and how it could be viewed as slightly old-fashioned, and of a ‘time gone by’, and, more importantly, could shape the way people respond to the work. The installation has an element of familiarity and safety that may influence how people interact, encouraging only positive or pleasant memories and experiences. Jennie’s constructive feedback was refreshing and something I hadn’t considered. Since our meeting, I have continued to think about this aspect of the work, and wonder if it is something I want or need to change. Thinking more about my installation and my process of constructing it, I’ve returned to my original source of inspiration, the Freud Museum, and have looked again at the arrangement and décor of Sigmund Freud’s study room. My conversations with Jennie have motivated me to consider again my work in relation to psychotherapy, and to spend time talking and building relationships with people from associated disciplines. I have also arranged to visit the museum again in the coming months in order to spend time in the house absorbing the atmosphere and re-discovering the surroundings. On a separate yet related note, I feel more secure with the knowledge that this may not be a direction I want to pursue, but nonetheless I want to follow that path and see where it leads. During my session with Jennie, we also talked about the other side of the project, the “hidden” side that Nick Mobbs and I discussed in a previous meeting. 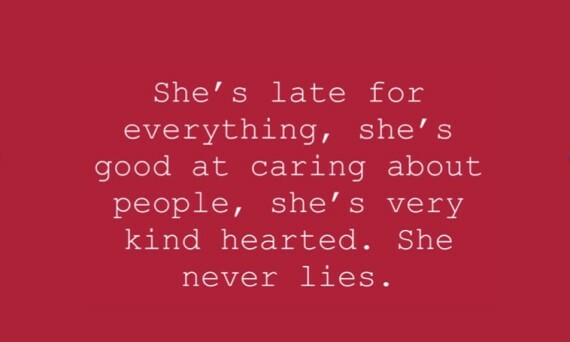 That is, the comments, the stories and the experiences of people who have chosen to tell me about their mothers. We discussed ways of using and presenting these stories, which in turn led to broader questions: what was the work about, what did I want to communicate and much bigger questions for me, was the work about my mother or even about me as a mother? There were several artists who Jennie thought might be of interest to me, including Jo Spence, Helen Chadwick, and Paula Rego. We discussed the relevance of Christine Hill’s project ‘Volksboutique’, which amasses collections of daily life phenomena and invents new forms of over the counter transactions for public inspection. I reflected on this and recent conversations when I was preparing to show my installation at the University of Nottingham’s graduate residency exhibition, which accompanied this year’s degree show. The exhibition gave me the opportunity to present the work differently, and in a more considered arrangement. Although the preparation was time-consuming, the resulting feedback was positive. Finally, Jennie and I spent a lot of time talking about more administrative aspects of my practice including my website, promotion, time management and planning, as well as writing about my work and exhibiting. I was pleased that she found my website clear and interesting, while still providing me with suggestions for improvement. With her wealth of experience, it was invaluable to have her feedback, and I came away from our meetings feeling enthused and confident. This conversation also encouraged me to think more thoroughly about what it is I actually do, and to be clear about why I’m doing it. More than anything, these sessions have highlighted the need to take the time to just be with the work and to think, to research and to talk through ideas with people (not just practicing artists). I am often distracted by the accompanying tasks of being an artist (exhibiting, promoting and administration) and prioritise these over more developmental and practical areas. The a-n Re:View bursary and my subsequent mentoring sessions have enabled me to gain a huge amount of advice and guidance from experienced, knowledgeable mentors, and have equipped me with the tools to create a broad strategy for developing my future work. I have respected each of their unique styles, and acknowledge the relevance and importance of every approach. I feel my that overall experience has been far richer because of this. A common theme throughout has been the value of increasing your contextual knowledge through research and ongoing conversations. This can present a better (and different) understanding of your work and where it sits, and can often lead to new ideas and opportunities. These mentoring sessions together with my recent Arts Council-funded project, Artist as Mother as Artist, have increased my personal, professional and artistic confidence, and I have felt more energised to develop my project in different ways, to be more rigorous with my research, and to seek opportunities where and when I feel ready. One direct consequence has been my recent selection by East Midlands Contemporary Visual Arts Network (CVAN EM) to join five other artists to be part of DOCUMENT, a project that tracks and presents the experiences of artists in the East Midlands. The artists, who are all committed to their professional and creative development, “will champion visual arts activity within the region and be advocates for the project”. My meeting with artist and musician Rebecca Lee happened quite by chance, but turned out to be a really fortuitous encounter. We introduced ourselves at a special moving image event (Film Free and Easy) at Primary (the studio space where Rebecca is a resident artist). During our conversation, Rebecca informed me that she had also received the a-n Re:View bursary in 2014, and had undertaken some very useful mentoring sessions as a result. Prior to this, when I’d been researching the artists who might be able to offer me guidance and mentoring, Rebecca had been mentioned. When I originally applied for the bursary, I had listed the names of several people who I wanted to meet, but I also thought that unexpected things might happen along the way, and I would be introduced to other people who could help me develop my practice. So, from my accidental encounter with Rebecca, we arranged to meet more formally. Our conversations were incredibly useful, and I found Rebecca to be refreshing and inspiring. We talked about many things including the nourishment of collaborations, the existence of collections, the retelling of stories, and rediscovering the power of artistic (and personal) decision-making. 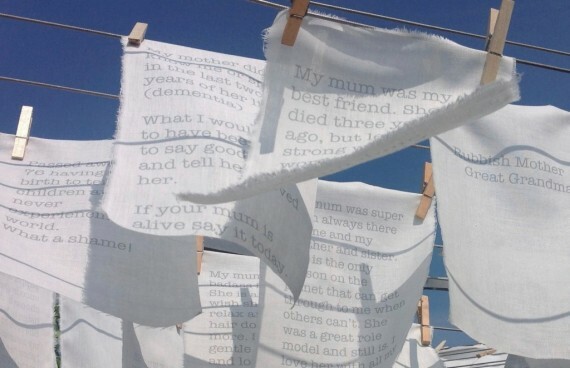 We discussed my project, ‘tell me about your mother…’ and how I have been absorbed by its appeal, following the path of exhibiting rather than developing. This led to a conversation about artistic visibility and presence, something of which I am acutely aware. It felt reassuring to speak to someone about these concerns, and learn strategies to help manage these ‘non-public’ times. Research and reflection is vital, and work cannot improve nor progress without it. Rebecca talked about not over-delivering and taking time to stand back from your work to think; not everything has to be public. We talked about the value of nourishing oneself, not just the project, and how this can come from speaking to people working in other disciplines. Rebecca has put me in touch with Christine Stevens, artist and gestalt psychotherapist, and despite our busy schedules we have organized a meeting. This is a really exciting opportunity for me, as discussing the project with someone working in the field of psychotherapy has been an avenue I’ve wanted to pursue for some time. We also talked about the different presentations, formats or arrangements a work can adopt once it has started. 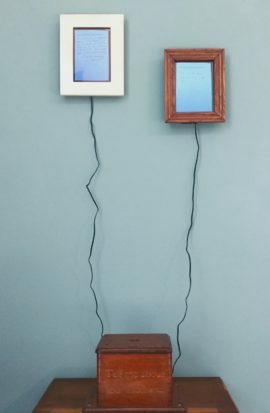 The installation (see below), an artwork in itself, is also a means of collecting participants’ experiences. These experiences are captured on paper, and it is this content that I am really interested in, and which can be represented in multiple ways. Rebecca drew my attention to the work of artist and filmmaker, Ian Nesbit, particularly his documentary film, ‘The Cut’, which follows the Dead Rat Orchestra’s tour across the canals and waterways of Southern England. Nesbit must have recorded and collected a huge amount of footage during this time, yet only one short segment was selected to represent each day. On a similar note, Rebecca mentioned John Newling, and in particular his work, ‘What We Do To Make Ourselves Feel Better’ and the subsequent publication, ‘Make a Piano in Spain’ (2008), which investigates and transforms people’s responses. Thinking about the work of artists such as Nesbit and Newling, as well as my conversations with Rebecca, I feel encouraged to reconsider how I use collected data, being shrewder with my decisions, distilling the information and the stories. And, giving more thought to ‘creative spaces’, the gap between what I choose to show people and what they choose to imagine. Finally, we discussed the subject of reviews, and in relation to this, publications (artists’ books). I was keen to get guidance about how these can be created and organized. Good advice was firstly to be clear about what kind of writing I want from a reviewer (reflective, factual, a response to something or conversational), and secondly to select the right writers (ideally someone who understands your work). Having somebody write about your work can be beneficial, providing an alternative experience, additional insights and a means of discovery. Incorporating the text into a publication can also be positive, and having an independent voice adds independent credibility to the artist’s work. 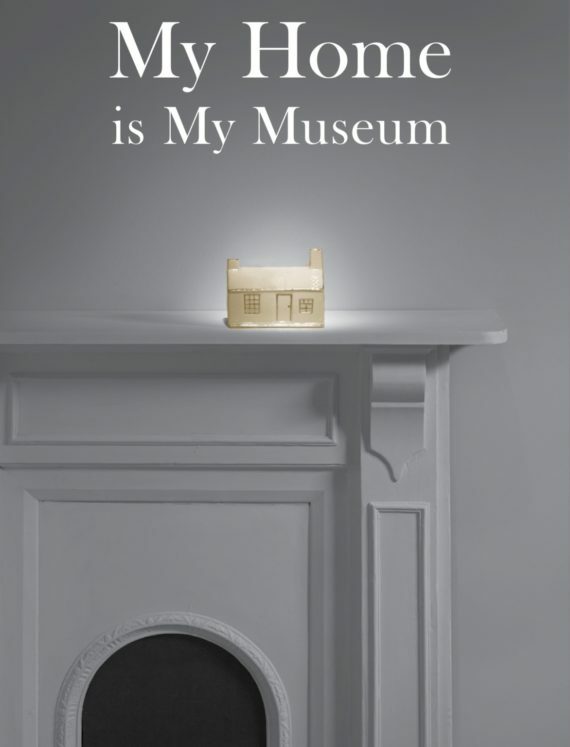 Rebecca showed me a publication by performance artist Caroline Wright, about her project, ‘My Home is My Museum’ – a collection of personally significant objects belonging to Cambridge residents. The booklet accompanies the online museum collection and contains a piece of reflective writing, essays and texts written by some of the project contributors. It was interesting to think about the way Wright included a combination of different styles of texts, which together provided context, detail and reference points to enhance the viewer’s understanding of the art works. Thinking more about varying types of publications, we looked at the work of Ruth Ewan, particularly her artists books which include selections of images and text. Ewan’s work is formed by engaging with others, and involves close collaborations and research with people as diverse as historians, magicians, traditional crafts people, horticulturalists, archeologists, musicians, bakers and children (http://www.nwcambridgeart.com). Looking more at Ewan’s work has been really stimulating, not only because of her printed works but also her collaborations and interventions with others. I feel encouraged to broaden my thinking in terms of collaborating and who might be able to offer alternative and original viewpoints on my project. Overall, meeting Rebecca has been immensely useful and I feel I have gained a huge amount from our discussions. She was genuine and honest, and I found her to be incredibly knowledgeable and insightful throughout all our conversations that covered a multitude of topics. Since our meetings, I have spent time looking more at Rebecca’s practice which often involves working with other people and communities, and I feel inspired to think much wider! Since my last post, virtually all my time has been taken up with the Artist as Mother as Artist project. This was a jointly curated exhibition (and accompanying events) with Sam Rose, and we were over the moon to receive Arts Council funding for the project which allowed us to dive straight in and begin work. So, for the past 6 months I have been curating, marketing, planning, talking, photographing, emailing, promoting, posting, sharing, making, changing and developing! It was a very intense period but overall, the project was a resounding success, and I am now in the process of completing the ACE evaluation form. 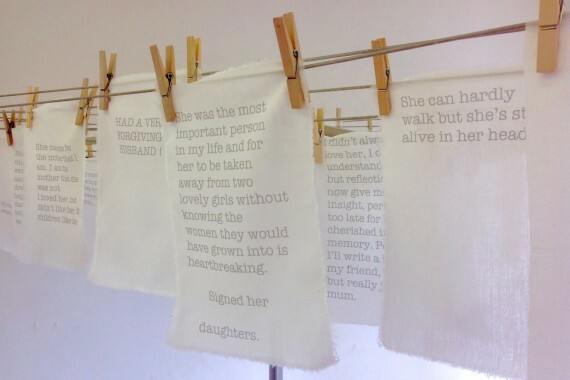 Although Artist as Mother as Artist has had to be my priority (as it was a time-limited exhibition with confirmed gallery dates), I have also continued with my a-n Re:View bursary mentoring which has focused on my project, tell me about your mother…. Aside from meeting with CVANEM co-ordinator Elizabeth Hawley who has provided me with invaluable professional development advice and guidance, I have also had two very insightful meetings with artist and lecturer Nick Mobbs. With Nick, there were specific things I wanted to discuss – firstly, my artists’ statement (especially regarding this work), and secondly, how to move the project forward. We talked about other people’s statements and how these are structured, and it was a valid task to research artists’ statements, particularly those who work in the same sphere as me (participatory, installation, mixed media, interactive, collecting, mothers, using data, sourcing data from others). Also, arranging the information clearly, comprehensively and succinctly is fundamental (which sounds obvious) but it’s easy to forget basic details which make your work engaging and accessible. Regarding the project itself, an interesting observation that came from our conversation, was that audiences only really get to see one ‘side’ of the work – the side that includes interacting with the installation. The other side, almost exclusively accessible only by me, comprises of the conversations, the connections and the beautiful encounters I experience from the private and candid stories revealed from within the wooden box. Nick and I talked about ways to share this hidden part, discussing at length the idea of a book (text/image based publication of some kind), which could include collaborating with someone, to inform and contextualise the content. 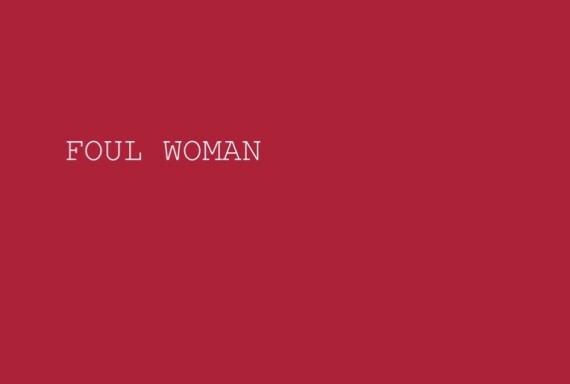 We considered the project in general, with its human connection – people reflecting on their relationships with their mothers, and the interest that this holds for others. There could be a performative element to this side of the work, and we talked about other artists who’s practice might be useful to research – Traci Kelly, Sophie Calle, Belén Cerezo, Rebecca Beinhart, Poly-technic (Kate Geneva and Steve Pool), and Luis Jacob, as well as the project that Heather Connolly and Rhiannon Jones organize – In Dialogue. Where does the time go? I can’t believe it’s been so long since my last blog post… but a lot has happened in that time. I’ll try and be concise and keep this short enough to be readable but still keep the detail (although my usual philosophy is, why use one word when you can use ten?!). Using the Re:view Bursary, I have organized meetings with Liz Hawley to discuss the professional development aspect of my practice. Through these, we identified some specific needs that I could address, in particular we highlighted the necessity of giving value to all aspects of my practice, not just the making side but also the research, administration and marketing. To me, this has more than proved the value of having an independent viewpoint – it’s easy to see how you can become too narrowly focused without an external perspective. Gaining and maintaining confidence was a big area for discussion. A large amount of my time is spent considering how to describe my work and my practice (verbally and textually), and along with this, how to do so eloquently and succinctly. Liz and I talked about the benefits of preparing a language ‘toolkit’ which would be a useful resource and help negate any apprehension or concern when asked about my work. This would also have the added benefit of freeing up time to concentrate more on creating work. Having a theoretical context for “tell me about your mother…” is something that I continually revisit, and after talking this through with Liz, feel this would unquestionably add gravitas and ‘currency’ to the project. We spoke about the advantages and disadvantages of inviting input from external contributors, and alternatively how I could develop my own critical language to underpin the work. We talked about balancing the involvement of others, while simultaneously retaining ownership and ensuring my artistic engagement. An especially encouraging aspect of these mentorship meetings is that I am now ‘thinking bigger’. Through discussing my aspirations (long and short term), Liz has encouraged me to try and realize my ambitions. One consequence is that I will be co-curating an exhibition centering on my specific area of interest. 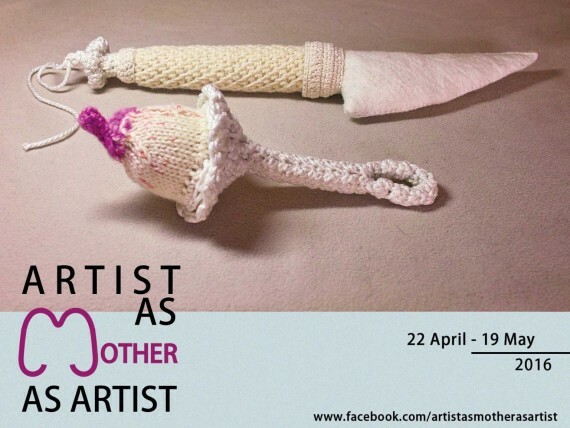 Working with curator and artist Sam Rose, the exhibition, titled: ‘Artist as Mother as Artist’ will incorporate not only my work, but that of eleven other national artists. Alongside which we are planning a number of associated social and artistic development events. A much bigger event than I have undertaken before, regarding scale, organization, and cost. For this we have submitted an Arts Council England application and are now eagerly awaiting the outcome of that! This post follows that ACE submission which has involved numerous conversations and meetings with other artists, curators, creative professionals within the locality, Arts Council advisors and my Re:view bursary mentor, Liz Hawley, all of who offered guidance, suggestions and help. Completing this application, which requires information not only about the intended planned event, but about your practice in more general terms, has enabled me to think with clarity about my work and how I see it developing. The other area of my practice that I wanted to address through the a-n Re:view bursary was artistic critique. However, due to the time constraints associated with the ACE application, I have primarily focused on my professional development. My next blog post will cover this in more detail when hopefully things should be a little more complete. 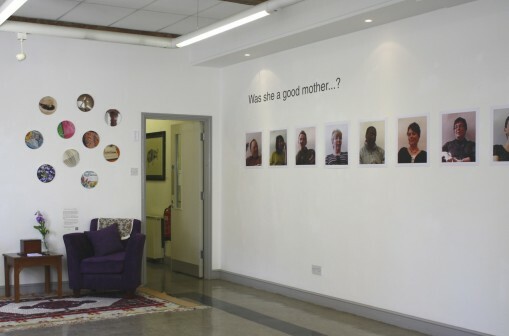 ‘tell me about your mother…’ began during a one year residency at the University of Nottingham in 2012/13. The project seemed to be a natural progression for me (my work having previously focused on my relationship with my son), reflecting upon the mother’s position from the perspective of the child as an adult. During the residency, I began by collecting stories, thoughts and memories from students, tutors, artists and friends; recording their experiences through videoed interviews and discussions. These were used to elicit ideas and source material, and towards the end of the residency, I was able to show some of the outcomes during a solo exhibition at Banks Mill Studios, Derby. The project then began to grow, as interest in the subject area increased. However, there were weaknesses – I was aware that using video to gather content was both limiting and restricting, and so I wanted to find a way for others to become involved in a more anonymous way. I adapted a wooden box, commissioning Phil Neal to carve the project title into the box lid to give the appearance of a ballot or suggestion box. I then used this to collect written comments, and it formed part of an installation, which I began to exhibit throughout the UK. 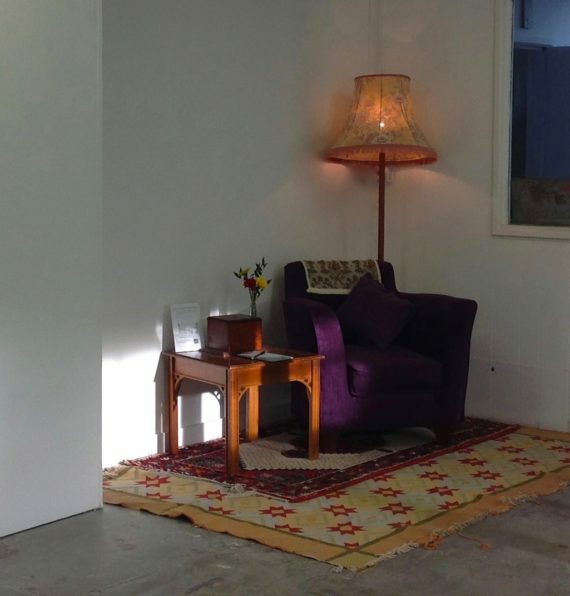 The installation also consisted of a purple armchair, a lamp, several rugs and a small table; my intention with this pseudo-domestic setting was to create a familiar and comfortable atmosphere in which people would feel able to be more candid and open, and therefore the contributions would be real and honest. 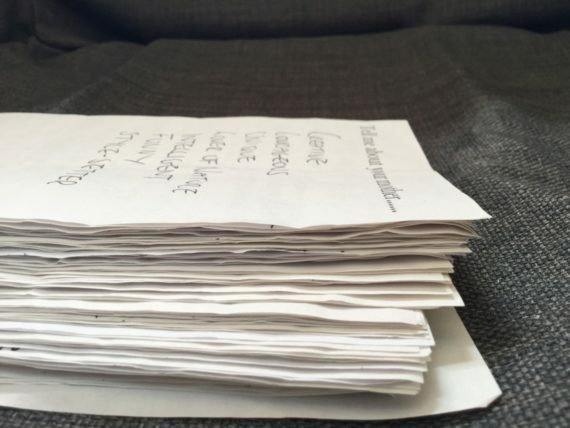 I found this to be very successful and I began to accrue an impressive collection of small paper sheets, each with a unique experience, comment or memory. I choose to display some of these at different venues, alongside the installation, although the presentation has differed depending on the location and setting. Having spent several years working on this project, with public interest increasing after every exhibition, I reached a point when I felt external assistance would be beneficial as well as valuable; hence applying for the Re:view bursary. In my proposal, I identified two specific areas: professional development and artistic critique, and had several people in mind who might be both able and willing to help me with the project. 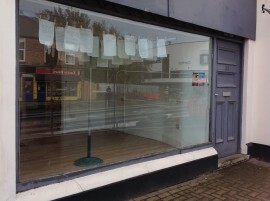 I am a multi-disciplinary artist, living and working in Nottingham. I studied Fine Art at Nottingham University and since graduating in 2011 have been developing my practice, which focuses of aspects of the maternal. 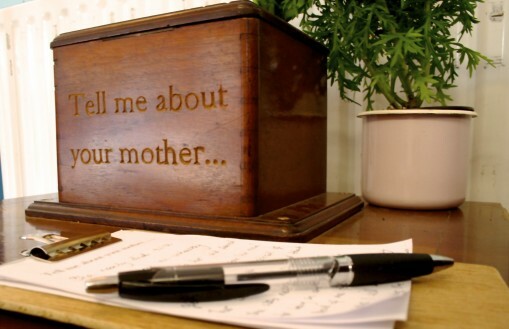 I am currently carrying out research for my most recent project, ‘tell me about your mother…’.